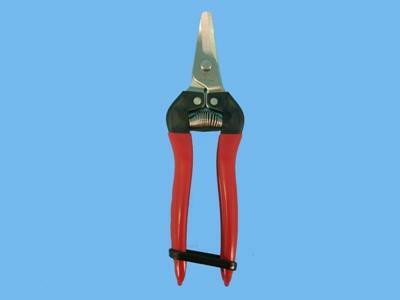 Fruit pruner. Stainless steel, curved, red. Equipped with non-slip grip and is comfortable to hold. ‘marquenched’ hardened blades, which ensures that the blades have the best steel structure and a longer cutting performance.